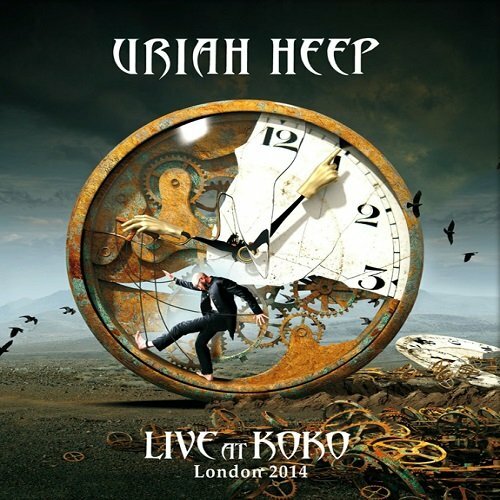 • Uriah Heep, who indisputably invented Hard Rock in conjunction with Black Sabbath, Deep Purple and Led Zeppelin, have sold in excess of 40 million albums since their inception in 1969. From their early incarnation as Spice (joined by members of the Gods), through record breaking tours, gold and platinum selling albums, timeless chart scaling anthems and a fiercely dedicated fan base of worldwide proportions, Uriah Heep can rightly claim to be one of the greatest U.K. progressive heavy rock bands of both the 20th and 21st centuries. • Originally founded by vocalist David Byron and guitarist Mick Box, Uriah Heep have been through an incredible number of permutations, with Mick Box always at the helm. Long standing keyboard player Phil Lanzon and vocalist Bernie Shaw were recruited nearly 30 years ago in 1986. Drummer Russell Gilbrook who has now been with the band 7 years, has recorded studio albums “Wake the Sleeper”, “Into the Wild” & “Outsider”. “Wake the Sleeper” heralded an exciting new phase for the band, taking Heep’s classic sound right into the future. The band celebrated its 40th anniversary an aptly titled greatest hits re-recordings album called “Celebration”. Dave Rimmer, who had been standing in for Trevor Bolder (ex-David Bowie's Spiders From Mars), continues as the bassist, and with the band’s diary for the foreseeable future as full as ever In January 2011, the band returned to the studio once again to record “Into the Wild” which began with a strong start in Germany at #32 and the band once again returned to the road for a worldwide tour. Playing to nearly 150,000 people, in Eastern Europe, Australia, Japan, and America and playing in 58 different countries in total.